How has Equity Contributed to the Common Law Legal System? For literature students, the Shakespearean classic – The Merchant of Venice, would ring a bell. This story shows the absurdity that is inherent in strict adherence to the law. Without equity tempering the provisions of the law in order to create justice, the law would end up being a tool of injustice. Those who have not read the story might be a little bit lost here. As the story goes, Bassanio asked his friend – Antonio, to give him some money in order to marry the woman he loves. Antonio didn’t have the money and he decides to borrow from a moneylender – Shylock. Shylock doesn’t like Antonio and has been looking for an opportunity to get back at him. He agrees to borrow him the needed money on the condition that Antonio would give up a pound of flesh if he defaults on the loan. Antonio accepts this condition since he had some expected shipments and was sure he would be able to pay back. Unfortunately, his goods got lost at sea and he could not repay the loan when Shylock asked for it. Shylock took the case to court in order to get one pound of Antonio’s flesh. Meanwhile, Bassanio hears of what has happened to his friend and he offers to repay the debt even more than Antonio originally borrowed. Shylock rejects this because he is only interested in getting a pound of Antonio’s flesh. The court, in sticking strictly to the provision of law, held that it can’t reverse the agreement since Antonio has already promised to give up a pound of his flesh on failure to repay the debt. As a result, even if he subsequently gets the money, as long as he has defaulted in his debt, he has to give up his pound of flesh. This is a clear illustration of the injustice caused by the strict application of legal rules. Even in real-life situations under the common law, a mortgagor cannot redeem his mortgaged property after he defaults in his debt. This is regardless of the fact that he now has the money needed to redeem his debt. Back to the story, a mysterious lawyer comes to Antonio’s rescue. The lawyer argues that if Shylock insists on getting a pound of flesh, he can go ahead. However, if on cutting Antonio’s flesh, the court discovers that the flesh doesn’t weigh exactly one pound, Shylock would be in breach of the law. In the end, Shylock can’t get his pound of flesh and Antonio’s gets to keep his flesh. Thankfully, this story ends well; this was not the case for countless litigants that got injustice when the court strictly applied the rules of common law to their case. There have been numerous contributions of equity that have made the law more amenable to the delivering of justice. There are numerous instances of the contribution of equity to the common law legal system. Without equity in the common law legal system, there would be numerous scenarios akin to the experience between Shylock and Antonio. I would go on to discuss some of these improvements made by equity to the common law legal system in the subsequent headings. Under the common law of trusts, the settlor gives his property to the trustee to manage on behalf of the beneficiary. The common law only recognised the rights of the trustee; it essentially ignored the rights of the beneficiary. What this meant was that the trustee could use the trust property as he likes and he would owe no obligation towards the beneficiary. Equity was against this; although it recognised the trustee as the legal owner of the property, the beneficiary had an equitable interest in the property. This meant that the trustee owed a duty to use the trust property in a way that would be beneficial to the beneficiary. In fact, the beneficiary has a right to the property against all other persons except a purchaser for value without notice. This means that if the trustee fraudulently transfers the property to another person, the beneficiary has a right in the property against that person. By the strict application of legal rules, a mortgagee is entitled to the property of the mortgagor if the mortgagor defaults on his debt. This means that if the mortgaged property is more than the debt, the mortgagee can get the property when the mortgagor defaults in payment. Even if the mortgagor gets the money for the debt after he has defaulted, he can’t get his property back from the mortgagee. This is similar to what happened between Antonio and Shylock in The Merchant of Venice. Thankfully, equity has solved this problem by making it possible for the mortgagor to redeem his property even after he has defaulted in paying his debt. Equity contributed to the development of the law by creating extra remedies like specific performance and injunction. The only remedy that was available under the common law was damages. This was a bit problematic if there were situations where the award of damages would not be able to compensate the affected party. Equity granted the remedy of specific performance in order to enforce the performance of a contract where damages would not be adequate. Equity created the remedy of injunction to prevent the other party from performing an injurious act which the award of damages cannot remedy. There are instances where unscrupulous elements can use strict adherence to the law to cause havoc to other parties. For instance, a party can seek to invalidate his obligation just because the agreement doesn’t strictly follow legal provisions. A good example of this occurred in this locus classicus of Walsh vs Lonsdale. In this case, Lonsdale leased a mill to Walsh for seven years. However, Lonsdale didn’t make use of a deed to convey the lease as required by law. When Lonsdale requested for payment, Walsh refused on the ground that Lonsdale didn’t grant the lease with a deed. He argued that since the parties didn’t use a deed in the grant of the lease, the lease is invalid and he can escape liability. The court applied the equitable maxim “equity regards as done that which ought to be done”. 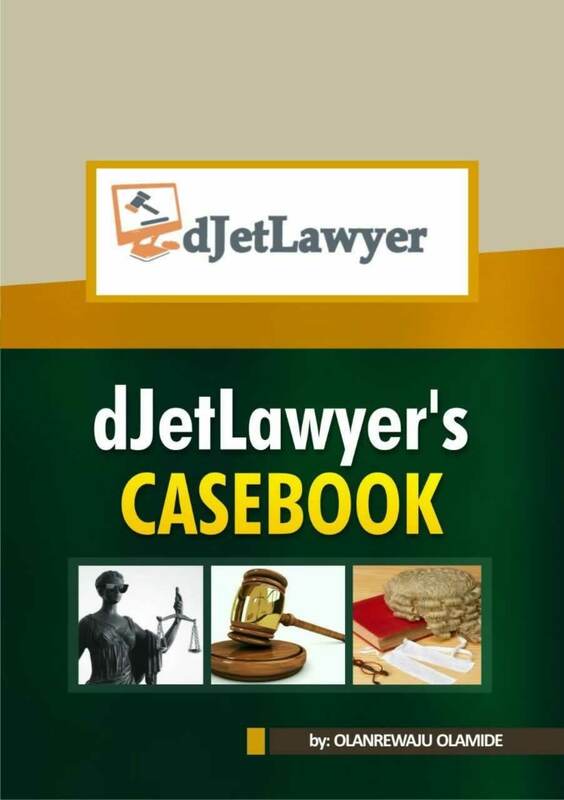 The court held that the lease was valid since the intention of the parties was clear in making the lease agreement. Another major contribution of equity to the development of the common law legal system is the doctrine of equitable estoppel. The court established this doctrine in the popular High Tree Case. With this rule, equity doesn’t allow a person to go back on a contractual promise when the other party has already acted on it. Without equity in the legal system, the administration of justice would surely be as hilarious as the scenario between Shylock and Antonio in The Merchant of Venice. If the contributions of equity are absent in the legal system, the law would surely cause a lot of hardships to all parties. As a result, no one should underestimate the importance of equity in any way. The person who lends the money e.g the bank. The person who borrows the money and puts up his property as security.